My bonding with my husband improved. I already feel connected with my yet-to-be born baby. I am enjoying my pregnancy. Thank You "My Wonderful Pregnancy"
I enjoyed all the sessions. The content and the audiovisual presentation was great. Made me understand and experience a lot many things about myself and my to-be-born baby. This program has made me aware of the process of pregnancy and delivery and made me ready to support my wife during this important phase. "My Wonderful Pregnancy" is a great workshop. Both, Dr.Manisha Joshi and Dr.Abhijit Joshi are experts in the subject and I feel that is the biggest advantage. The content and the context of all the topics have been communicated excellently. The importance,seriousness and the beauty of pregnancy and delivery has reached us successfully. It is a lifelong experience. I thank all from the bottom of my heart. Focus on all aspects of pregnancy was very good, clarified a lot of doubts / misconceptions. The program is very elaborative. Everything is perfectly aimed at an ideal pregnancy and delivery. The principles of "My Wonderful Pregnancy" are pretty practical. Making a schedule and keeping up with it works well. The different music tracts played during the sessions is very relaxing. Me and my husband had a very good experience. "My Wonderful Pregnancy" is an interactive and interesting program. It is very well structured. Queries from participants are handled very well and individual attention is given to each couple. Good in depth knowledge of the teachers is very helpful. "My Wonderful Pregnancy" is a very good initiative to educate aspiring parents. The content was very well presented by the use of videos and pictures. The content was precise. It had the depth that was required. Physiological aspects although known to a certain extent, were a good refresher. Plus having doctors answering queries is a definite advantage. The printed material serves as a good reference. It�s a wonderful program. "My Wonderful Pregnancy" changed my thought process. The music CD is amazing. I got confidence that I can handle the big responsibility of becoming a mother because of "My Wonderful Pregnancy". I am desperately waiting the day when I confirm my pregnancy. Thank you so much for making my life great. Content was adequate. All aspects were covered well and explained well. Brought confidence and removed fear. Explanation was simple and lucid. Videos and ppt add value and help us see practical aspects. Notes help to revise and follow at home. Practically, it is not difficult to implement. Good, easy techniques which bring a sense of discipline. We are thankful and grateful to attend this course, �Lucky�. The course is designed very well. It is very informative. Step by step it covers all important aspects of pregnancy. Thanks for wonderful sessions!!! Great detailed awareness with spiritual and scientific aspects Good presentation. Easy applicability. Things were explained nicely and in detail. We gained lots of knowledge. Whatever we have learnt in "My Wonderful Pregnancy"; we should follow it daily and discipline ourselves. The content is wonderfully laid out and easy to understand for anyone, esp. the videos and small stories shared make the sessions enjoyable. Great, really enjoyable presentation. The fact that you are very clear and confident of what you talk, it is very easy to understand the concepts and information. "My Wonderful Pregnancy" is about bringing a change in your attitude, lifestyle and goal. I would strongly recommend this program. Presentation is very nice. The principles of "My Wonderful Pregnancy" are very practical and give very good results over the period. We learnt many things new and important regarding pregnancy and delivery, which you presented in very simple and easy language, also created familiar atmosphere. All teachers are friendly and also informative in their own field. The principles of "My Wonderful Pregnancy" are easy to understand and helpful in our entire life. Good habits, diet, exercise, yoga & music help feel peaceful and happy. Very clear and descriptive. Unveiled many new things. Implementation removed our fears completely. Very informative. Anybody can easily make out that this course is designed by �Doctors�. The thing which I liked the most is a perfect combination of science and spirituality, which is difficult to convey and to convince, but was properly done in this course. I was living many superstitions before, got good clarity and have started implementing the principles of "My Wonderful Pregnancy" which are indeed practical. The content is great. Lots of new things have been introduced to us in "My Wonderful Pregnancy". Lots of learning and positivity from the content. I liked the presentation. Use of audio, videos and PPTs have been great. You all are awesome and doing a Noble Job. God bless you all. Feel very positive with each day of implementation. Important thing is that these sessions are conducted by right people having medical background. Also the content is appropriate and is all about the sharing of facts and practical experiences. The sessions are awesomely organized. It has given an altogether different perspective to pregnancy. It helped in planning and following a daily routine. It removed the fear of delivery, labor pain and other challenges. "My Wonderful Pregnancy" opens your consciousness and pregnancy process seems to be easy. Definitely a helpful program for all the pregnant & planning ladies. All the sessions conducted by various teachers were very helpful. Thank you for all your effort. Contents were very nice and informative. The way they were presented & shared is really made the sessions interactive. Very nice all of you. I really appreciate and I really thank god he gave me a chance to meet you. Contents are fantastic and covering all aspects of pregnancy. Expmples given help in understanding. By examples, I am understanding things easily and in a simplified manner. I am a Gynaecologist by profession. This was my second pregnancy. Before attending "My Wonderful Pregnancy", I attended ISP, SSY,POI, PI and MOM. Inspite of all these factors, I must say, I got to know many new things in every session in terms of knowledge, experiences and realizations. The content and the context were excellent. Content presentation was excellent. With use of videos, graphics it was very interactive. We felt involved and alert all the time. And the format is also good. This kept us attentive and energetic throughout the session. What can I comment about the obvious, that is your authority over the subject! But the energy level and the willingness to give this knowledge to society is very valuable. There are experts at other places as well, but how many of them will conduct such a course out of their busy schedule? We feel lucky to get in touch with "My Wonderful Pregnancy". Thanks alot. The space for the sessions was very fresh, well maintained. Even in the summer we were not feeling hot. And a small garden outside! Very full of life environment. Pahilya session pasoon step by step techniques shikavalyamule implementation soppa zala. Tasech negative thaoughts positive madhe badalalyamule confidance vadhala. Vision thevalyamulepan implementation sahaj hot gele. Homeplay madhil anubhav share kelyane aani itaranche anubhav eikalyane, charchaa kelyane shanka door zalya. Ekmekanna phone karun anubhav share kelyaane motivation milale. Dakhavaleya Video mule fertilisation, pregnancy aani delivery baddal adhik detailed mahitee melalee. Manachi tayaaree zali. Aadhichya participants che video dakhavalyane motivation milale. Yogasane, Suryanamaskaar, Kapalbhati tasech Vision statements cha saraav experts chya margadarshanakhali zalyane tyacha labh hoto aahe. Aamachya manatalyaa shankanchee yogya uttare milalee. Tasech yogasan aani acupressure/SuJok saathi khaas experts ni khoop changale margadarshaan kele. Sagali mahitee utsahane, prasannatene aani mana-mokalepanane sangitalee, tasech classroomche vatavaran hi prasanna hote. tyamule aamachyavar positive parinaam zala aani shikavalelya sagalya goshtee sahajpane amachyaparyant pohochalya. Experience after attending "My Wonderful Pregnancy" program - I feel more connected to my baby. Much more positive than before for a successful pregnancy. Fears because of incomplete knowledge are no more there. Medical & spiritual blend of this course is very helpful in raising the consciousness level in this phase of life. Husband is also now more involved in the pregnancy journey & enjoys talking to the baby. Initially we thought if we would be able to commit to 8 Sundays but we look forward to every Sunday to attend the class & learn more. Pregnancy is joyful & rewarding for me. I am very grateful to "My Wonderful Pregnancy" for everything. It has expanded the horizon of my awareness, knowledge and understanding related to pregnancy, diet, process of delivery and purpose of my pregnancy. I feel happy, content and more connected to my baby. With all awareness gained, i give my baby a new and wonderful experience each day. In "My Wonderful Pregnancy" everything related to pregnancy was explained well with video clips. It has made me aware of a wonderful view related to pregnancy with which I understand my wife more and feel connected to our baby in her womb. Thank you "My Wonderful Pregnancy". Before joining "My Wonderful Pregnancy" I was thinking that Pregnancy is very troublesome for every women. But now I have fully acknowledged that pregnancy is a NATURAL & very easy process. "My Wondferful Pregnancy" gives NEW Realization of LIFE in all aspects like mental, physical & spiritual developments. Now I’m enjoying my pregnancy very happily & with all enthusiasm. My Husband always encourages me & helps me in all activities like pranayama, yoga & etc. We are very HAPPY & eager to welcome our Dearest, lovable SONU. We understood the real meaning and scientific relevance of important things to be done during pregnancy.My awareness and focus changed and I became more commited towards my spouse and the baby.Dr.Manisha with her thorough medical knowledge taught us in a very easy way. Dr. Abhijit with his clarity & beautiful voice made the spiritual connection possible. Good & easily understandable. Five STARS for the program & to Dr.Manisha & Dr.Abhijit. This program was very beneficial. I am happy & satisfied. Power point presentation & videos made me understand everything about pregnancy & childbirth. The videos were fantastic. I recommend this program to everyone. Dr. Manisha, you are just awesome, I enjoyed your sessions. The program is perfect. The principles are practical & easy. Thank you for the wonderful sessions. I recommend this excellent program to all pregnant couples.It includes valuable knowledge that people are generally unaware of. Dr.Manisha rightly emphasizes that delivery is a natural process. Now my fear of childbirth has vanished. I enjoyed all sessions,so much so that I wished they would go on and on!!. Taught me everything about pregnancy & life too. All teachers are masters in their own field. Presentation is very good. I understood many new things as well as where I was going wrong. All principles can be applied in our busy life quite easily. All teachers are excellent. Pregnancy has become effortless & enjoyable. I carry a positive attitude now. Previously I was following certain things blindly, these got rectified. Thank you. It is the best antenatal program. Must for all. Every session is different & gave a different perspective to life & baby. I was not aware that I had a spiritual side too! !I have become a totally different person after MyWP. Yoga & Swarpranayam is the simplest of all to do. Dr.Manisha is very positive all the times & gives good vibes. Dr.Abhijit takes yoga & relaxation excellently. Shri Sameer Naik explained spirituality related to pregnancy very well. I am a second time mother. I am enjoying motherhood once again. I feel energetic & happy all the time. My diet awreness has increased a lot. I accept my mood swings & am able to convey the same to everyone. Though Dr.Manisha & Dr. Abhijit both are doctors, I felt as if my friend is explaining to me! !Both made me understand everything so easily. Lots of love to you both..
Sagale sessions khup chaan aani swadishta aahet!!! My confidence about pregnancy & childbirth has increased a lot. I have become mentally balanced & physically stong.. After the sunday sessions, I felt happy & blissful the entire week. I recommend this outstanding program to everyone. Do not miss it. Dr.Manisha & Dr.Abhijit are excellent. Shri Sameer Naik is the happiest person I have met till now, full of joyfullness.. Both Dr.Manisha & Dr.Abhijit have presented & communicated all relevant points in simple steps & we have achieved a good level of confidence. This is helping us in our pregnancy as well as life.. I really liked their involement & never felt awkward, always connected.. Thanks a lot. MyWP program is very encouraging, made me positive. I got clear, in depth knowledge of pregnancy & baby. My fear of childbirth has vanished. I feel strong, confident & calm. All lectures are excellent, the MyWP book and all notes given are very helpful.Both Dr.Manisha & Dr.Abhijit are amazing, very supportive & cleared all my doubts. The prayers & mantras are very powerful & positive. After doing MyWP, I have become fearless & have started focussing on positive things.Yoga & pranayam is helping me to concentrate on my work. The scientific aspect of pregnancy, baby in the womb & childbirth is explained very well. I got much more than I expected. Presentations are wonderful, videos shown are amazing. I recommend the program to everyone because I would like them to take the amazing experience that we are feeling. Both Dr.Manisha & Dr.Abhijit have shared their knowledge in such a beautiful way that all my fear of the natural process of delivery has gone completely. Thanks for conducting MyWP. The MyWP program should be conducted in multiple cities, so that many can enjoy the immense benefits that it offers. We are grateful that we got to learn everything about planning stage. We are now confident. All taechers are doing a wonderful job. I am very grateful for all the knowledge that I gained in MyWP. MyWP is the BESTEST & the GREATEST. SUPERB. I think not even in school, teachers teach their children in such a loving & easy way. Dr Manisha has an awesome way of teaching & expressing. Dr Abhijit explains the techniques excellently with examples. Shri Sameer Naik is a person full of positivity. Yoga is taught so beautifully here. Very effectively desighned & delivered taking care of medical, physical, mental & spiritual aspects of pregnancy.. The sessions flow so smoothly & effortlessly that we did not realise when we completed all 8 sessions. I feel lucky to have done MyWP with my wife. The MyWP book is extemely helpful. Awesome work by Dr.Manisha & Dr.Abhijit. I loved the mantras, music, prayers & videos in all the sessions. I love the MyWP music CD. I enjoyed the growing connection with my baby. I know know my role as a father & how to give my 100%. Dr.Manisha is very caring. Dr. Abhijit has a very calm nature and is excellent in his teachings. All important points from planning to post delivery are explained systematically as if a mother is explaining to her daughter!! We learnt many new things & wondered, "Aisa bhi hota hai!!" Dr. Manisha is friendly, co-operative very clear, helping, always smiling & sweet. I learned the best yoga here. Dr.Manisha & Dr.Abhijit have a wonderful way of explaining. Shri Sameer Naik is an excellent, enlightening teacher. I understood the importance of yogasanas & pranayam. Deliver process, painless delivery, post delivery care of the newborn are topics that I always wanted to know about. I know it all now! !I am confident. Dr.Manisha & Dr.Abhijit are very kind & knowledgable. I am a confident father now!! Easy & simple techniques. Now I know what normal delivery is and how to achieve it. Dr.Manisha is very active, intellectual & a confident booster. Dr.Abhijit has amazing knowledge about many fields and is a treat to hear from. The program was a scientific, spiritual & psychological treat. The intensity & energy of the sessions was highest from the beginning to the end. I realised that when the teachers are giving their best, why not take it positively & to my best too!! I learned immensely. I am a confident mother now. Dr.Manisha & Dr.Abhijit are excellent orators & motivating teachers. I understood many medical terms in a very easy & simplified way. All the teachers taught us passionately. My approach & thinking changed after the session by Sameer Sir. I loved doing yoga here. Now we are confidently awaiting the good news. MyWP gave exact clarification of myths & facts, so I became very much aware of exactly what to do, what not to do and gave an answer to every why in my mind. All classes were conducted in a playful way. Dr.Manisha is very active & is an excellent source of medical knowledge. All teachers are superb speakers. I learned yoga very easily & am enjoying the benefits. All the sessions are unique & very well desighned.. The MyWP book is very detailed & self explanatory. I feel a special bond with my baby now. I have become serious about being a father & I know exactly how to support my wife during pregnancy & chlidbirth too. With pregnancy came many challenges, especialy, indigestion, bloating & sleeplessness. I started using all techniques taught in MyWP. Slowly I started seeing the benefits. My sleep improved, I was eating well!! I am enjoying my bump more than before. Thank you all the wonderful teachers. I got aware of many unknown facts such as, epidural analgesia, placenta providing food to the baby, etc.. I now have a fixed timetable. I do the yoga everyday & eat nourishing food. Dr.Manisha & Dr.Abhijit are very good & have left a deep, positive impact on me!! A descriptive course indeed!! The real life examples given & videos shown in the program helped me a lot. I am now a more determined and a sincere father. MyWP has helped me a lot. I have learned lots of things related to pregnancy, baby & delivery. MyWP although a scientific program is very easy to understand. I understood all aspects of pregnancy. Am a happy mother now. I understood all the changes that a woman experiences during pregnancy. A man should know all these.I definitely recommend this program to every father. Dr.Manisha always made me feel at ease. I got all answers to my questions after every session. I am enjoying my pregnancy.I have recommended MyWP to all my friends. I have started doing everything that I was taught in the classes. Yogasanas , meditation & pranayam is helping me a lot. My backache got cured & my thought process has changed, more positive now. I feel more at peace with myself. The presntations, videos & music used in the sessions have had a deep impact on me. Also Dr. Manisha helped me to get my medical doubts cleared completely. All the teachers are excellent. The best part of the program is the MyWP book. Everything taught in the sessions is in the book, so no need to write notes. The soothing background music played before & during the session created a joyful mood /atmosphere for learning & sharing. I found all the sessions very informative & inspiring. I am finding it easy to inplement all taught in the class. Dr.Manisha is very influential & confident. She helped to reduce my fear of delivery. I found this program very scientific & logical, as both Dr.Manisha & Dr.Abhijit are experts in their respective fields. I have understood delivery & pregnancy beautifully. I never would have got all this fundamental information anywhere. Dr.Manisha has a powerful voice, a smiling face & touches the heart immideately. Highly recommended program. I have become very energetic & joyful. KNow I know everything about my Pregnancy, my little baby inside & childbirth. All the teachers are very good & helpful. It is a very good, informative, scientific course. All the doctors are very good & intellectual. I learned different yogasanas in a very simple way. My wife is doing them & has got relief from many of her aches & pains. It is a very worthy program.I am very happy that an important phase in my life that is pregnancy was made so easy, and doubt free. Thank youi. Both Dr.Manisha & Dr.Abhijit are doing a very noble job of making us , fathers understand pregnancy & taking care of the baby with real life examples. Dr.Manisha & Dr.Abhijit have explained us very beautifully, all the concepts related to pregnancy, delivery & after care of the baby. The painless delivery session was the best. I enjoyed every session taken by Dr.Manisha Joshi. I had some challenge doing the yoga postures, but Dr.Abhijit taught me a alternative version which helped me a lot. Fantastic contents. Attending this program was the best utilisation of time for me. Dr.Manisha & Dr.Abhijit are wonderful teachers & human beings. Me & my wife are grateful to Dr.Manisha & Dr.Abhijit for imparting many wonderful facts about pregnancy, baby in the womb & delivery. I am a confident father now. Attending MyWP has turned me into a responsible mother! !The teachers kept us engaged all throughout the sessions, added a lot of humour too..
MyWP was extremely helpful. I am now more connected to my roots! !Dr.Manisha is a very warm & positive person, doctor..I learnt so many things from Shri Sameer Naik & Dr.Abhijit. I am now calm, relaxed, motivated, confident & positive. Highly recommended program!! I sincerely feel that MyWP program should be conducted on a very large platform so that many new parents like us can get the benefits. The medical & spiritual aspects taught are now permanently engraved on my heart. All the presentations were perfect. Dr.Manisha & Dr.Abhijit are very energetic, knowledgeble & so clear about all medical facts. The real life examples given relate to our life & connect to us. The principles of MyWP are easily applicable. I am enjoying my fatherhood now. All the teachers are very friendly & knowledgable. This program not only covers facts about pregnancy but also about life. The speakers give good practical life examples & this makes understanding very easy. I started doing pregnancy yoga & all my pains & problems vanished slowly. The teachers keep everyone involved & attentive. I have started following good food habits taught in the class. Feel fresh all the time. I did not know so many dos & donts in pregnancy. Now my awareness & knowledge has increased a lot. Dr.Manisha has made everything very easy for me!! Both doctors are excellent. Fathers role & involement is so important, I did not know earlier. Beautiful course. The process of pregnancy, childbirth & post delivery care is explained perfectly in MyWP. Both medical & scientific approach. MyWP book & music compilation is the best, very helpful. Both Dr.Manisha & Dr.Abhijit are very energetic. I enjoyed all the 8 sessions of MyWP. The yoga & music has given me immense energy & mental relief. All the teachers were like family to us. Thank you from the bottom of my heart. I recommend this mind blowing scientific program to every one. MyWP was an enlightening program. 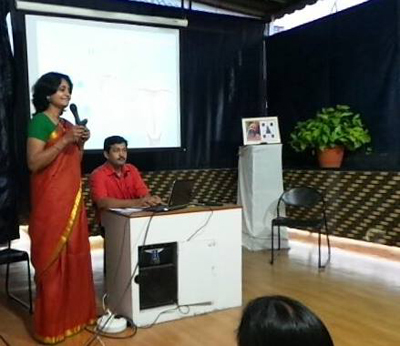 gave me valuable inputs about taking care of my spouse & baby during & after delivery. I feel good that I did MyWP in the planning stage. So now I can prepare myself the right way to achieve a healthy baby. The presentation with images & videos was very helpful. All the topics covered in MyWP are scientific & explained very beautifully. No doubts remain. I know know how to prepare for a healthy pregnancy healthy baby & a normal delivery. I am grateful to all the teachers. I understood that pregnancy & carrying a baby can be so blissful & joyful. Love you Manisha mam. In MyWP we understood all the biological & scientific facts. Yoga, diet, pranayam, labor positions, breathing techniques, post delivery care of the mother and so many more. I feel really motivated to give my best to my future pregnancy & baby. Dr.Manisha & Dr.Abhijit are great teachers & human beings. In MyWP I have grasped everything like a sponge. I enjoyed all the sessions. The background soothing music made me calm & focussed as well. The MyWP program is beautifully designed. Focus on yogasanas & homemade, nutritious food has made turned me into a conscious person now. I am spending more time to improve my physical & mental health. The content of the myWP program is very well planned & efficiently executed by all teachers. I have learned a lot. My bonding with my wife has altogether gone to another level. All my questions regarding preparation of pregnancy are answered. Dr.Manisha is very lively & interactive. I learned a lot from Dr.Abhijit. All the sessions of MyWP are interactive, so we got all our questions answered. I feel satisfied, fresh & energetic. The program is very authentic conducted by the right experts. I enjoyed & learned. All the topics taught were made easy for us to understand, through slide shows, interaction & real life examples. Delivery topic was very interesting. Each topic was presented in a unique & excellent way. Dr.Manisha & Dr.Abhijit are awesome. My approach of looking at pregnancy has changed drastically. My bonding with my wife & the baby has become WOW now! Before I was told by many that now that I am pregnant, I will have many aches & pains & my life will be very difficult. But after attending MyWP, I have realised that actually pregnancy is the most beautiful thing that has happened to me. I daily talk to my baby, I have started eating nourishing food & have started exercising! !My Migraine has vanished & I feel energetic the whole day. I am completely prepared mentally & physically to deliver my wonderful baby. Mam & Sir are so joyful & friendly. They have taught us to be positive & confident. Earlier I had many doubts, fears & misconceptions about pregnancy, food & delivery. They are now very clear. There is no fear of normal delivery now, infact I am more positive, confident & am awaiting to welcome my baby through the natural process. My husbands awareness about different aspects of pregnancy & delivery have brought many positive changes in him. We are enjoying a wonderful bond with our baby. Many questions about food got cleared. I know my role during the delivery of my wife. My daily routine has changed completely & I am enjoying it. I am mentally & physically ready to welcome our sweet baby in this world. All the teachers of MyWP are friendly & joyful. MyWP program is amazing. It answered many questions & misconceptions that I had about eating habits, exercise & baby development. Got the scientific & spiritual aspects of pregnancy & parenting. I am confident that we are having a normal delivery. Both the doctors are very good teachers. Sameer Sirs session helped us to see the other perspective of pregnancy. We enjoyed it thouroughly. MyWP is a wonderful course. I learned yogasanas and postive thinking. Our understanding & bonding has increased. I recommend this course to all pregnant couples. Thank you MyWP!! Previously, I often used to get iritated & used to think negatively about little things. Positivity & happiness have become my attitude now! !Preganancy can be so wonderful...Inspite of all the minor problems. I am talking to my baby & doing yogasanas regularly. Inspite of being a working mother, my entire day is very energetic now. Fear of delivery has vanished now. I am confident & I know how to take care of my baby after delivery too. Dr Manisha is a very happy, confident & smiling gynaec..
Pregnancy is not very complex & difficult. I am enjoying my pregnancy after attending MyWP. I feel more connected with the baby in the womb. I now know what to eat & what to avoid. I am doing yogasanas & meditation regularly. After watching images & videos about delivery, my fear has gone. Thanks to Dr.Manisha, Dr.Abhijit & all the team of MyWP for making me aware. MyWP is a wonderful program for planning & pregnant couples. We are so fortunate that we were a part of it. All the exercises are very helpful & stress busters. Previously, I was tensed thinking of the labor pain. Now I am very confident & I know how my baby will slide down the birth passage..Thank you Dr.Manisha mam & Dr.Abhijit sir for beautifully arranging such a great program. I learned, Pregnancy is not only about her but about us. I enjoy a new bond with my wife & the baby. I know how to support her well during pregnancy & delivery. Dr.Manisha is a bag of positivity & energy. She has removed our fears & doubts & built confidence. We came to know how Aaahar, Vichaar & Aachar play a vital role in the development of the baby at physical & mental levels. We do exercise together & our bonding has increased. Delivery is a painful experience is a common understanding amongst women.. Here we learned that although painful, one can use certain techniques such as positions, controlled breathing & others to still enjoy the process. All teachers of MyWP are very good & knowledgable. We enjoyed all the 8 sessions.